And Gary Evans knows that. The professional track and field coach, who trains Tyson Gay and Marvin Bracy, has been coaching Davis since she was 7 years old with his youth track club at Lake Minneola High School and knows the unique pressures placed on young athletes with bright futures. "He believes in me, and he wants the best in me," Davis said of Evans' coaching. 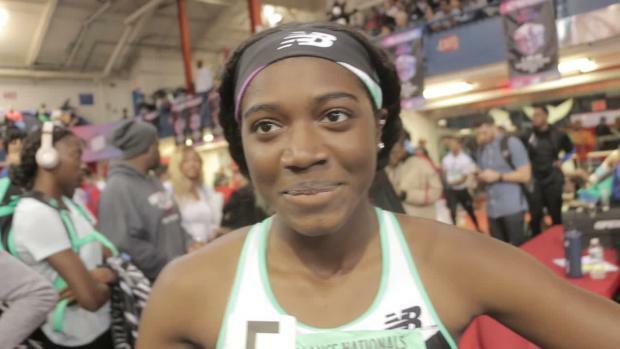 Davis, who just finished her eighth-grade season, set her first world age group record at 12 in the 60-meter dash (7.60 seconds) and later added a second in the 100m in 11.77 seconds. In May, Davis added her third age group record at the prestigious Prefontaine Classic in Eugene, OR, winning the high school 200m race in a personal-best 23.21 seconds, which is tied for U.S. No. 3 in the country. "And she was in lane 2," Evans said. 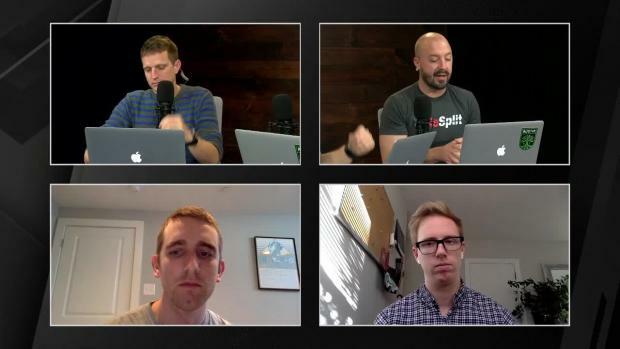 Which is to say, a lot has happened for Davis... fast. 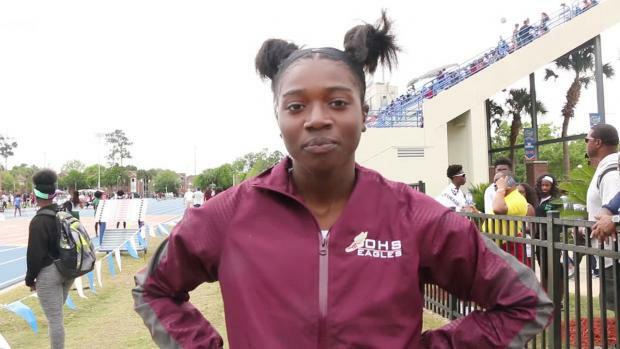 The 14-year-old, who will attend Gainesville (FL) High next year, will head to the AAU Junior Olympics in Ypsilanti, Michigan, in August hoping to clear more records in the 100m and 200m. Evans believes there is good and bad to athletes being fast-tracked to stardom. But at this point, he knows Davis' best runs are ahead of her. It's why he's taken a step back this summer. "At this age, no one is going to give Tamari a scholarship," Evans said. "So we have to understand the process. We wanted to run 23.6 and 11.5 this year, which we ran. Now we have to pull back a little bit." In May, Davis earned wind-aided efforts at the FLYRA Middle School State Championships, flying to times of 11.34 (+6.1) and 23.32 (+4.6) in the 100m and 200m, respectively. "I just go out there and do my best," Davis said. "However the outcome is, I'll love it." Evans says he's careful not to overtrain Davis, who's already yielding calls from professional agents who are interested in talking about her future at the next level. He also recently turned down an opportunity for Davis to run against professionals in Bermuda. "I don't want her to get to that stage yet," Evans said. "I want her to be a kid. She's a 14-year-old. What do teenagers do? They play with their phone and send emoji texts. I want her to remain a kid. I don't want her to think this is a business yet." This summer has reflected that, Evans said. Davis is practicing just once a week at Lake Minneola and is racing infrequently. 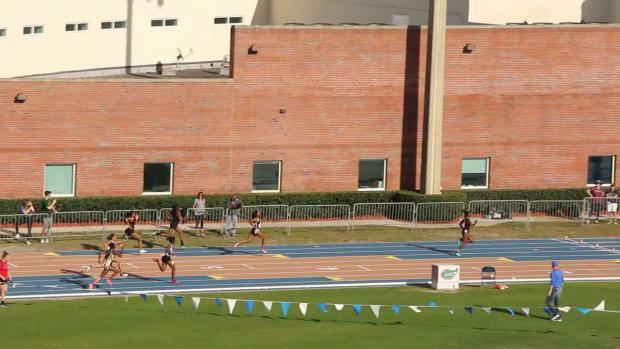 Even in a recent AAU Region 9 Qualifier at Lake Minneola, where Davis ran the 100m and 200m, she stepped off the gas pedal somewhat, producing times of 11.56 and 11.58 seconds in the 100m and 23.80 and 24.31 seconds in the 200m. "Sometimes she's breaking it down after 50 meters," Evans said. "She knows when to shut it down, she'll turn the corner and come off the gas and coast home." But even throughout training, Evans said Davis is also practicing smart. Leading into her performance at Prefontaine, Davis did 250m reps at 90 percent and was pushed to hit certain times through 200m. When Davis was in lane 2 in Eugene and needed an extra effort to compete for a win, Evans said Davis made up the difference over the first 100m largely on the framework of that base training. "When she was in lane 2, it was like she was running 225 meters instead of 200," Evans said. 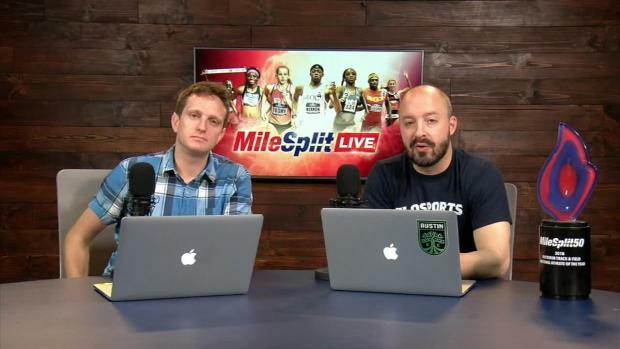 "But because she ran 250, she moved through that last 60 meters easy." Evans isn't worried about Davis as the pair continues to train over the summer months. He knows Davis will perform well when the time comes. 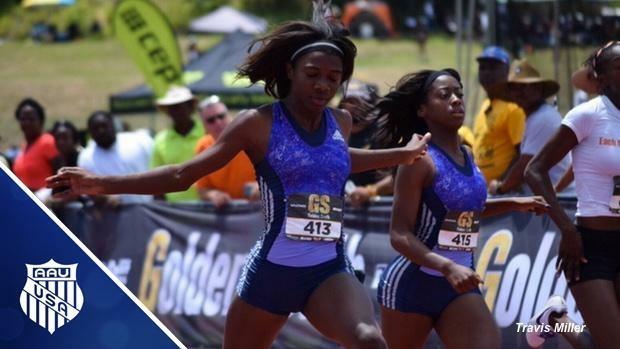 Over the course of two weeks, in fact, the incoming high school athlete may need to run at least nine rounds between the 100m and 200m to reach the finals of two separate meets, including AAU Junior Olympics. "She'll be ready," Evans said. "That comes from our base work in the fall. And what we do in our fall base -- 300m hills, 500m grass runs, two-minute runs -- it's all on the grass, so it prepares you." Win or lose, the future remains bright for Davis. Don't be surprised if she sets a few more world age group records, either. 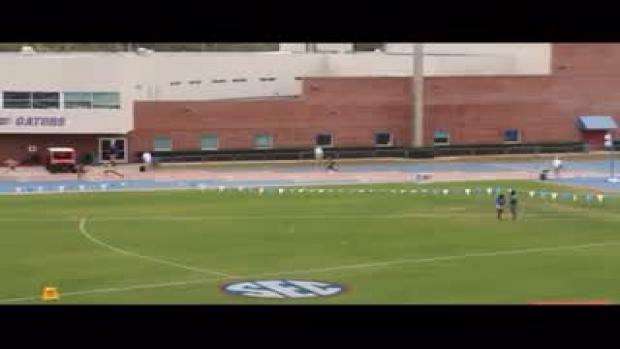 Davis could be spying the 14-year-olds record of 11.40 seconds in the 100m, which is owned by Ashton Purvis. "When we step on the track, we see these amazing times," Evans said. "We enjoy it. We don't make it a business. That's one thing I don't have to do with Tamari. There's no pressure, and she knows that."